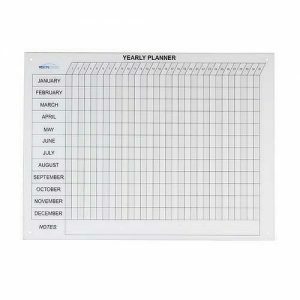 We sell monthly and weekly planner whiteboards, as well as school term planners, staff status boards, and yearly planners. 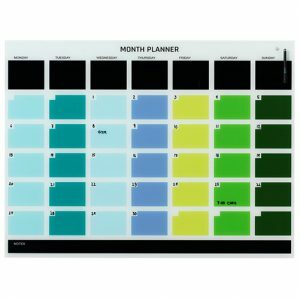 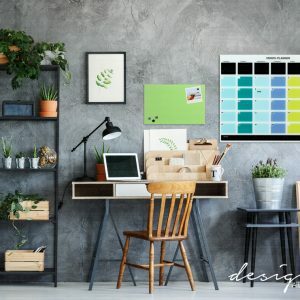 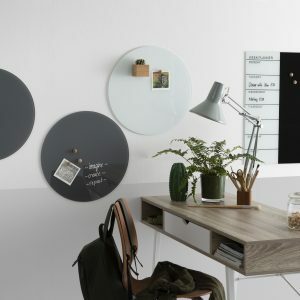 Some planner whiteboards are black and white, causing no distractions to the information on the board while the colored planners provide a little excitement and further organization opportunities. 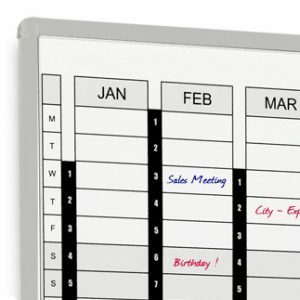 You could turn any whiteboard into a planner, but it will be messy, time-consuming, and irritating. 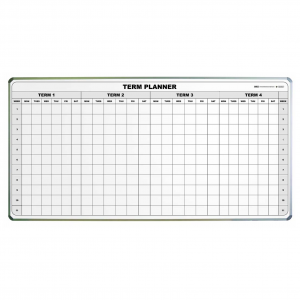 If you frequently use your whiteboard as a planner, consider buying a separate planner. 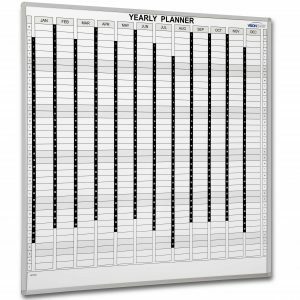 Improve your own efficiency or that of your staff with a weekly planner whiteboard, or a monthly or yearly one depending on your goals. 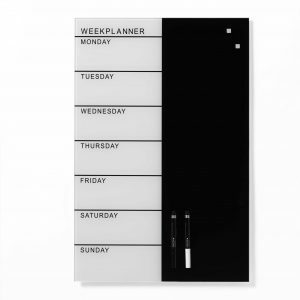 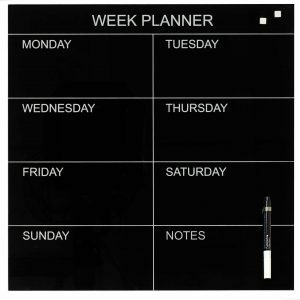 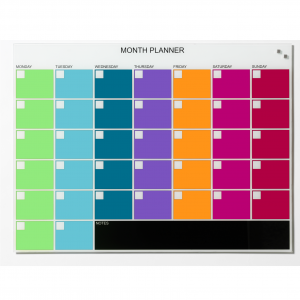 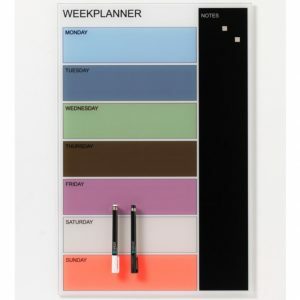 A black and white planner whiteboard will benefit from various colored markers. 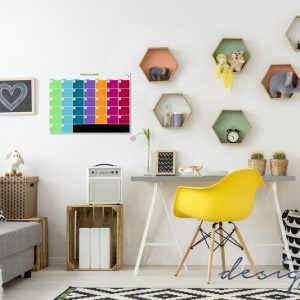 This combination creates a contrast that is easier to read and more enjoyable to look at. 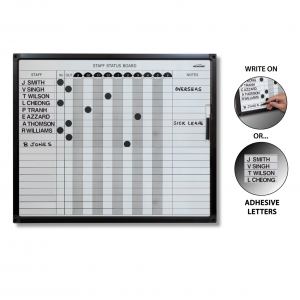 Colored planner whiteboards will often work better with more neutral-colored markers, light chalk markers, or black markers. 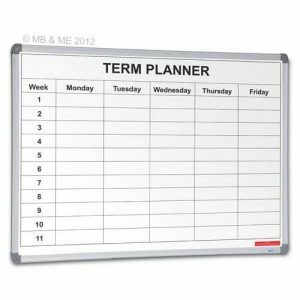 Use magnets to make the use of the planner more engaging and quicker(rather than writing out frequently used words). 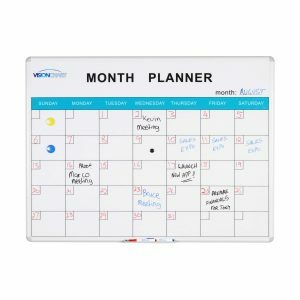 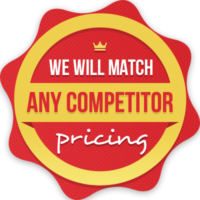 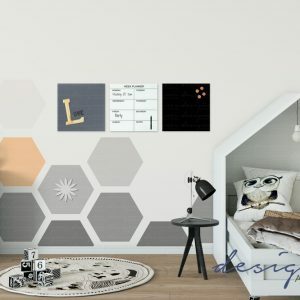 Browse our planner whiteboards, have your order delivered for free, and start making your business, organization, or home office problems history.